Details of the Moore. Moor. family of Grewelthorpe. Kindly submitted by Jeanette Coates. Information also taken from census records. Year of census given in [ ] brackets. and Parish Registers. If you can add any more information to this page please contact Jeanette or The web site or both. ADA MOORE. Born 1900 Grewelthorpe. Dau of Thomas & Rebecca Robson. lived Hackfall Mount Grewelthorpe. ALBERT MOORE. Born C. 1900 Grewelthorpe. Son of William & Zilla. [Ref 1901]. ANN MOORE. Born 1837 Grewelthorpe. Dau of William & Thomasin of Healey. 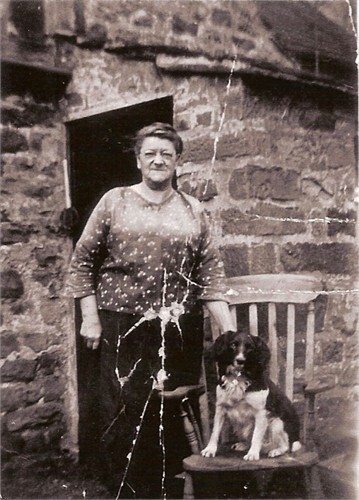 ANNIE MOORE. Born C. 1877. Dau of William. Married on 16.2.1901 at Kirkby Malzeard church to Joseph Hedges Barford. a Miller from Notts. [b. 1876] son of John Barford. ANNIE MOORE. Born 1895 Grewelthorpe. Dau of William & Ellen. ARCHIE MOORE. Born C. 1891 Grewelthorpe. Grandson of Robert & Ellen. [Ref 1901]. BETSIE MOORE. Boren 1832 Healey. Dau of William & Thomasin. CHARLES MOORE. Born C.1873 Grewelthorpe.Son of Robert & Ellen.[Ref. 1881] Farm Servant in Winksley 1891. DONALD MOORE. Born C. 1910 Grewelthorpe. Son of Thomas & Rebecca Robson. Living Hackfall Mount. DOROTHY MOORE. Born C. 1835 Grewelthorpe. Buried 28.4.1836 Kirkby Malzeard. ELIZABETH MOORE [nee WALKER]. Born 1790 Brealy [Breary?] Banks. Married William. ELIZABETH MOOR. Born C. 1809 Grewelthorpe. Buried 3.8.1819. ELIZABETH MOORE. Born 1819 Healey. Dau of William & Elizabeth Walker. ELLENOR MOORE [nee Iveson]. Born 1833 Ripley. Wife of Robert. 1911 a widow living in Grewelthorpe. She had had 10 children with Robert. ELLEN MOORE [nee ?] Born C. 1854 Brimham Rocks. Wife of William. [Ref 1891]. ELLEN MOORE. Born 1872 Grewelthorpe. Dau of Robert & Ellenor Iveson. Ellen married John Waite. see photos at end. EDITH MOORE. Born 1896 Grewelthorpe. Dau. of Thomas & Rebecca Robson. lived Hackfall Mount Grewelthorpe. EMMA MOORE. Born 1874 Grewelthorpe. Dau of Robert & Ellenor Iveson. EMMA MOORE. Born 1890 Grewelthorpe. Dau of Thomas & Rebecca Robson. Married Laurence Bain. See Bain family page and photo of Emma. EMILY MOORE. Born 5 March 1854. A retired schoolmistress. Unmarried. Living Low Laithe in 1939. ERNEST MOORE. Born 1880 Grewelthorpe. Grandson of Robert & Ellen. [Ref 1881] Possibly son of William & Ellen [Ref 1891]. It is likely that this is the Ernest who is shown on the 1911 census living in Grewelthorpe with wife Ann from Cumberland. They were married C1908 and had 2 children. FRED DENBY MOORE. Born 22 July 1863. Bradford. Died 1951. Son of Richard & Sarah. Married Edith Mary of Keighley. in 1893. They had 5 children. In 1903 he travelled to New York on the White Star Line SS Cedric. In 1911 he was living in Burley in Wharfedale. He was a wool merchant. He retired to Mowbray House Kirkby Malzeard. Report in the Portsmouth Evening News Nov. 1951. Mr Fred Denby Moore of Kirkby Malzeard Yorkshire and Wycollar Salcombe Devon, a leading figure in the Bradford wool trade for many years, died on October 5th age 88. Left an estate of £466.136 gross. Photo in Leeds Mercury 1929. of Fred’s daughter in law. Doris Langley Moore. GLADYS MOORE. Born 13 Nov 1904. Dau of Herbert [policeman] & Elizabeth. She was an auctioneer. A valuer & Estate agents cashier in 1939. Lived Ripon. Unmarried. HANNAH MOORE. Born 1858 Grewelthorpe. Dau of Robert & Ellenor Iveson. HARRY MOORE. Born 1890 Grewelthorpe. Son of William & Ellen. [Ref 1891]. HENRY JAMES MOORE. 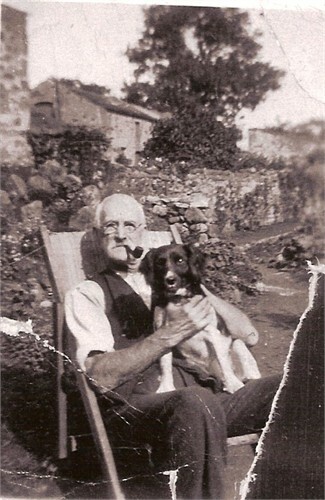 Born C. 1909 Grewelthorpe. Son of Ernest & Ann. .
HERBERT W. MOORE. Born 16 May 1974. Married to Elizabeth [born 1972] A policeman. Living Ripon 1939. ISABEL MOOR. Born 1709 Kirkby Malzeard. Married John Gill. of Kirkby Malzeard in 1730. His 2nd wife. She died in 1746. JAMES MOORE. Born 1812 Healey. Son of William & Elizabeth Walker. JAMES MOORE. Born C. 1865 Grewelthorpe. Son of Robert & Ellen. [Ref 1891]. Farm Labourer. JAMES NORRIS MOORE. Born 16 Oct.1904 Grewelthorpe. Died 17.7.1944. MI Grewelthorpe churchyard. Son of Thomas & Rebecca Robson. Lived Hackfall Mount Grewelthorpe. Private with RAOC. He was a roadstone quarry worker. The grave of James Norris Moore. JANE MOORE. Born C. 1859 Grewelthorpe. Grand daughter of William & Thomasin. JANE MOORE. Born 1890 Grewelthorpe. Dau of Martha. Step dau to Joseph Jackson. [Ref 1891] Married George Lofthouse. JOHN MOORE. Born 1814 Healey. Son of William & Elizabeth Walker. JOHN MOORE. Born 1833 Grewelthorpe. Son of William & Thomasin. JOHN MOORE. Born C.1888 Grewelthorpe. Son of William & Ellen. [Ref 1891]. JOSEPH MOORE. Born 1817 Healey. Son of William & Elizabeth Walker. JOSEPH MOORE. Born 1865 Grewelthorpe. Son of Robert & Ellenor Iveson. Farm Labourer. KATE MOORE. Born C.1881 Grewelthorpe. Dau of Martha, Step dau to Joseph Jackson. [Ref.1891]. LUCY MOORE. Born Grewelthorpe. Dau of Thomas & Rebecca Robson. MARGARET ELIZABETH MOORE. Born C. 1871. Dau of William. She was a publican when whe married Nehemiah Rowley. on 28.6.1902 at Kirkby Malzeard. He was a Groom Gardener born 1871. Son of John Rowley. a store merchant. In 1911 they were publicans at Henry Jenkins Inn, Kirkby Malzeard. They had 1 dau Edith b. 1903. MARTHA MOORE. Born 1842 Grewelthorpe. Died 1911. Dau of William & Thomasin. Married George Cade. See Cade family page. MARTHA MOORE. Born 1853 Grewelthorpe. Dau of Robert & Ellenor Iveson. Married Joseph Jackson. See Jackson family page. MAY MOORE. Born 1903 Grewelthorpe. Dau of Thomas & Rebecca Robson. Lived Hackfall Mount, Grewelthorpe. MARY MOORE. Born 1839 Grewelthorpe. Dau of William & Thomasin. Married John Robson. of Kirkby Malzeard. See Robson family page. MARY ANN MOORE. Born 1860 Grewelthorpe. Dau of Robert & Ellenor Iveson. MARY ELLEN MOORE. Born 1898 Grewelthorpe. Dau of Thomas & Rebecca Robson. lived Hackfall Mount, Grewelthorpe. MAY MOORE. Born C. 1903 Grewelthorpe. Dau of Thomas & Rebecca Robson. MIRIAM S.MOORE. Born 2 Aug 1907. Dau of Herbert [policeman] & Elizabeth. Manageress clothes shop in 1939. Unmarried. POLLY MOORE. Born C 1886 Grewelthorpe. [Ref.1891]. ROBERT STEPHEN MOORE. Born 1828 Healey. Died 1891. Son of William & Thomasin. Married Ellenor Iveson. [1833-1917] in 1852. ROBERT MOORE. Born 1870 Grewelthorpe. Son of Robert & Ellenor Iveson. REBECCA MOORE [Nee Robson]. Born 1865 Grewelthorpe. Wife of Thomas Moore. REBECCA M. MOORE. Born 9 May 1902. Dau of Thomas & Rebecca of Walker House. RON MOORE. Born 1920. Grewelthorpe. Son of Emma Moore. SARAH ANN MOORE. Born C. 1861 Grewelthorpe. Dom Servant in Killerby, Durham in 1871. THOMAS MOORE. Born 24 Jan 1867 Grewelthorpe. Son of Robert & Elleanor Iveson. Married in C1888 to Rebecca Robson. In 1911 they had 8 children. living at Hackfall Mount, Grewelthorpe. In 1900 Thomas received an attendance order from the Ripon liberty court for bad school attendance of his children. The school attendance officer was J.W.Umpleby. [Ref. York Herald, March 1900]. In 1939 he was a widower living Walker House Grewelthorpe. WILLIAM MOORE. Born 1775. Married Elizabeth Walker. WILLIAM MOORE. Born 1808 Healey. Died June 1876. Son of William & Elizabeth Walker. Married Thomasin [1806-1876]. Moved to Grewelthorpe around 1833. Possibly Williams second wife was Zilla Buckle.. [Ref 1901] In 1901 William was a woodman in Grewelthorpe. Zilla came from Kirkby Malzeard with a son Willie Buckle. Born 1884. Wm & Zilla had 5 children in 1901 + Willie. See Buckle page. Ellen Moore b1872. Married John Henry Waite in 1894. John Henry Waite husband of Ellen.